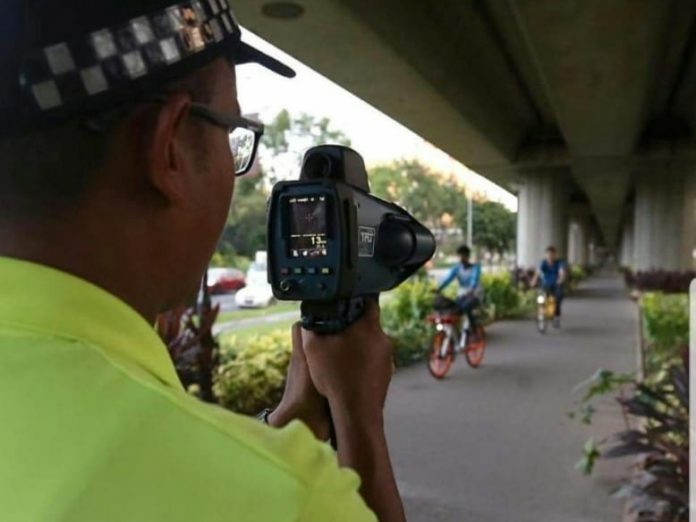 A picture of a Land Transport Authority (LTA) officer pointing a speed gun at a pair of cyclists has been going viral online. Facebook users Jeffrey Keng and Clifford Lee shared the photo on their social media pages yesterday. Lee’s photo quickly garnered nearly 4,000 shares while another page that re-posted the picture attracted an additional 1.6 reactions and almost 1,000 shares online. While many netizens appear to believe that the speed guns are newly deployed, the guns were actually deployed about four months ago. 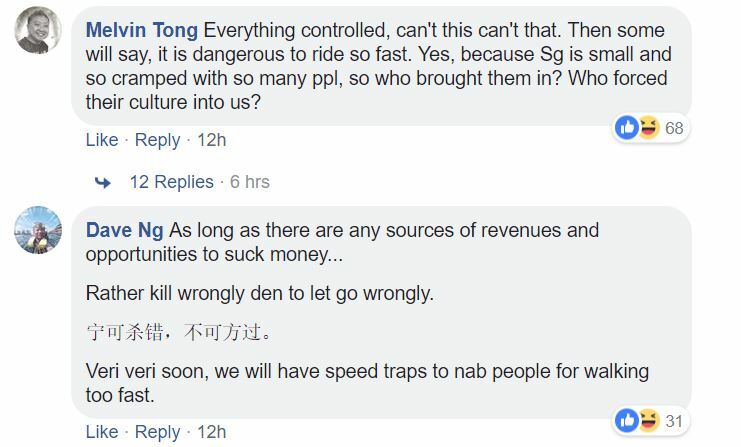 On 1 May, enforcement officers were officially equipped with speed guns to catch reckless cyclists and e-scooter users. 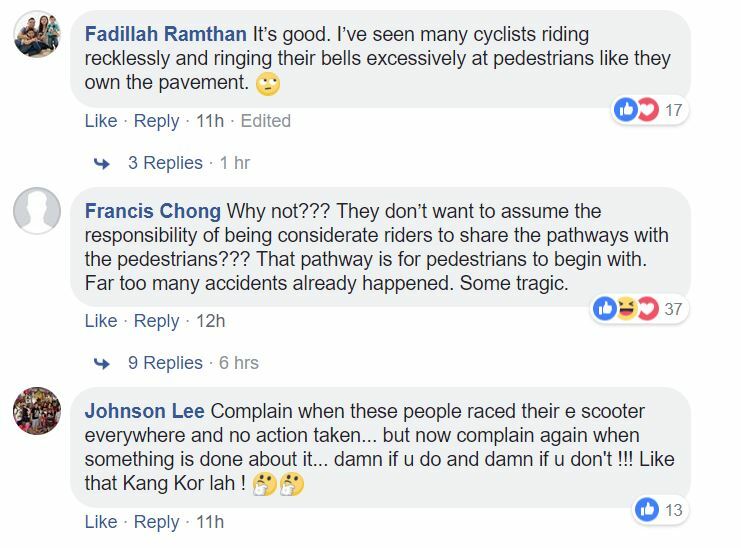 The speed guns were deployed on the same day that the Active Mobility Act went into effect and required cyclists and e-scooter riders to adhere to a 15kmh speed limit on footpaths, and 25kmh speed limit on shared paths and cycling paths. Under the Active Mobility Act, errant cyclists and personal mobility device (PMD) riders can face fines and jail time if caught. Those caught speeding may face a maximum $1000 fine and/or up to three months in jail. 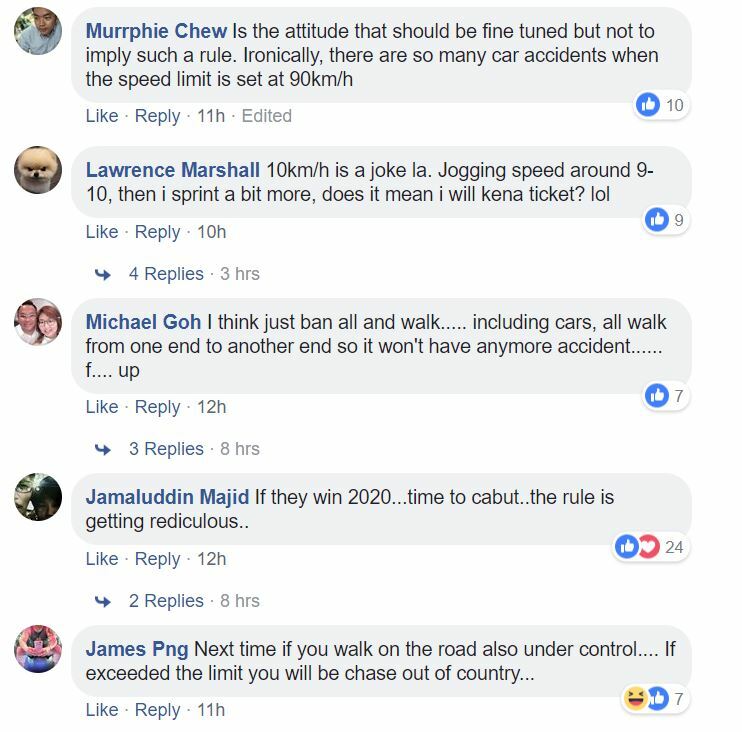 On 2 May, the LTA carried out a two-hour routine enforcement operation at Yishun where officers demonstrated the use of the new speed guns. The LTA posted photos from the operation on Facebook. The photo that has been circulating online since yesterday appears to have been taken from that operation.